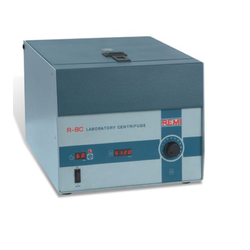 Refrigerated Research Centrifuge with separate speed control, speed meter, 0-120 minuets timer, dynamic, brake, zero start interlock, unbalance safely device, sealed compressor cooling up to- 8c and dial thermometer. 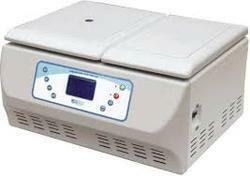 - Brush less low noise AC Induction motor & variable frequency drive. Centrifuge Angle Rotor Head Doctor Pattern4000 to 5000 r.p.m. with speed regulator and plug & cord. which are manufacture Rectangular Centrifuge using superior grade raw material to ensure durability at client's end. These can be customized as per the requirement of our customers. Further, our range is offered at industry leading prices. We offer our client Centrifuge Angle Rotor Head (doctor Pattern) 4000 to 5000 r.p.m. with speed regulator and plug & cord.